The Napo Wildlife Center has been built and designed by the Añangu indigenous community. 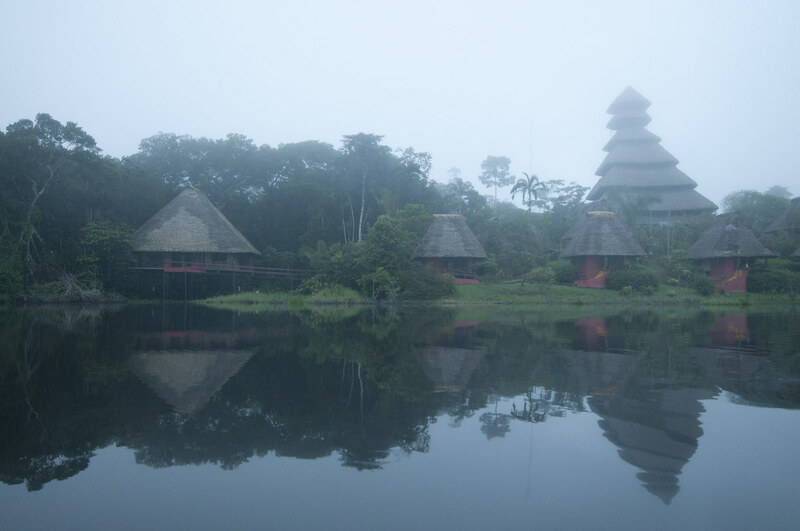 Located in the Yasuni National Park of the Ecuador Amazon Rainforest, the Napo Wildlife Center is considered one of the best eco-hotels of the world. The Añangu community has been recognized worldwide for its effort to preserving the flora and fauna found in this region . It is also an example of Linking Tourism & Conservation. The Kichua tribe of the Añangu indigenous people have designated the 21 400 ha of their land to the Yasuni National Park (this part is meanwhile declared by UNESCO as biosphere reserve), gave up all hunting and fishing activities and exchanged it with life based on eco-tourism. The project received support from several aid- and environmental agencies such as GIZ, GEF, UNEP and others.